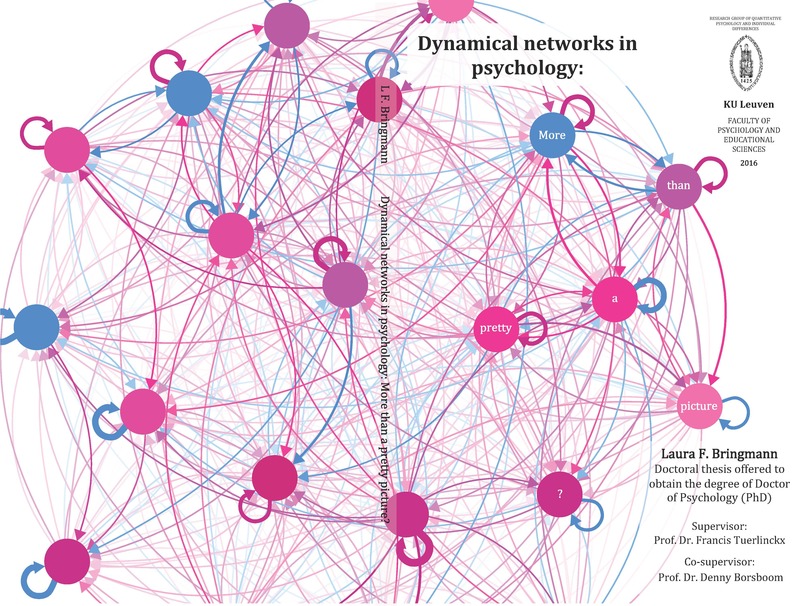 Dynamical Networks in Psychology: More than a pretty picture? 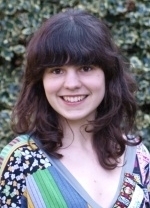 In this thesis, we provide different perspectives on dynamical networks in psychology. The main technique used here to infer networks is the multilevel vector autoregressive (VAR) model. In a VAR model, the structure of the time-dependency within and between variables is explicitly modeled through a set of regression equations. Using a multilevel extension of a VAR model allows one to study the dynamics both within an individual as well as at group level. The multilevel VAR model is further introduced in Chapter 2. In this study, longitudinal emotion data from individuals with residual depressive symptoms were examined. Besides visualization of the inferred networks, we also show how network structures can be further studied with network analyses, such as centrality techniques. Chapter 3 focuses on individual networks estimated with a multilevel VAR model. In this chapter, the main goal is to study connectivity of individual emotion networks and their relation to neuroticism. The results suggest that individuals with high levels of neuroticism have a denser emotion network compared with their less neurotic peers. In Chapter 4, we estimate the network of symptom dynamics that characterizes the Beck Depression Inventory-II (BDI-II), based on repeated administrations of the questionnaire to a group of depressed individuals who participated in a treatment study. Since the BDI-II symptoms decreased during treatment, the means changed, indicating changing dynamics. To account for this change in dynamics a linear trend was included in the multilevel VAR model. Beyond visualization, we conduct several network analyses, such as centrality and cluster analyses. Chapter 5 lays the foundation for studying time-varying networks in psychology. Networks are likely to change over time, due to for example therapy (see Chapter 4). Up until now there has been no easy way to detect changing dynamics. With a time varying autoregressive (TV-AR) model, changes in means and temporal dynamics can be easily identified and modeled, and therefore the model has significant potential for studying changing dynamics in psychology. Chapter 6 concerns psychological networks based on fMRI data. We use a new data driven technique, ancestral graphs (AGs), and compare it with a standard hypothesis driven method, Structural Equation Modeling (SEM). In contrast to VAR models, network analysis in both SEM and AG is based on the replication of the condition-specific trials and not on time-dependencies in time series data. As AGs can test explicitly the assumption of missing regions (nodes) in the network, it leads in general to more accurate network structures than the SEM method. Although currently mainly used in fMRI research, AGs could also be a promising solution for estimating networks in other fields of psychology, such as emotion research. In Chapter 7, a more general theoretical perspective on psychological science is taken. Network techniques are highly interdisciplinary and analyses done in physics seem to translate to other fields, such as social or psychological science. Still, in measurement debates, physical measurement is seen as largely disconnected from psychological measurement. We argue instead that there are interesting parallels and connections between the two. In the last chapter, the discussion, a critical examination of the general topic of the thesis is presented, ultimately answering the question: Dynamical networks in psychology — more than a pretty picture? Networks are all around us; for example, the World Wide Web, interpersonal connections and brain connectivity can be represented as networks. 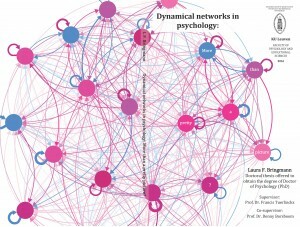 Recent research suggests that mental disorders can also be thought of as networks; namely, as networks of symptom interactions (Borsboom et al., 2011). From this perspective, disorders may arise as a result of causal relations between symptoms. Network approaches to psychopathology can explain clinical phenomena such as comorbidity and spontaneous recovery. However, there is a need for flexible statistical tools to empirically infer networks from typical clinical studies. Ideally, one would like to extract a network structure from multiple short time series of a sample of individuals. In this paper, we present a method that can do this, which we apply to an experience sampling study of depressed patients. It is shown how a network of psychologically relevant items can be formed by applying series of multilevel models. The results furthermore show which connections between the items are subject to high degrees of inter-individual variation in intra-individual structure. In addition, our method can be used to derive the specific network structure of an individual person from clinical data, which may be used to inform and assess therapeutic interventions.